The provincial government has committed Rs70 million to Gandhra Hindko Academy to support and promote Hindko. This was said by Senior Minister for Local Government Inayatullah Khan on the last day of the Third International Hindko Conference at the Archives Library Hall in the city on Sunday. 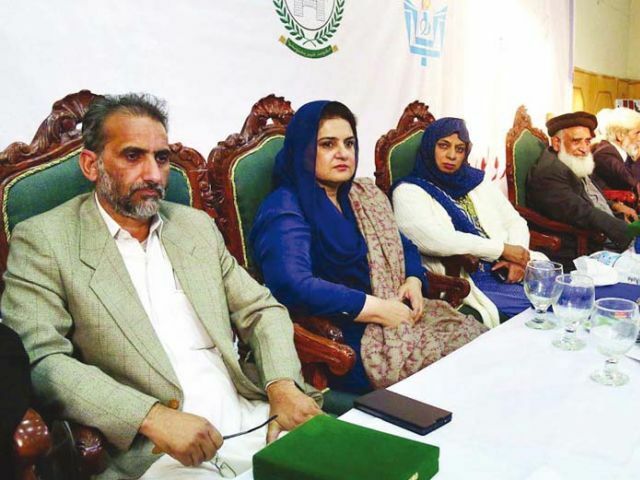 Participants asked Inayatullah to set up a Hindko department at University of Peshawar and establish an authority to promote the dozen or so languages spoken in the province. They said the majority of such languages were losing ground and needed to be preserved. Inayatullah vowed to take an initiative to promote all languages as they provide a bridge for national integration. The main focus of the conference was to find innovative means to preserve Hindko. According to Hindkowans, their mother tongue was dying. However, the language could be preserved if future generations start speaking Hindko. “The language was on a ventilator as it was totally ignored in the past,” Dr Samina Zahid, a professor at Khyber Medical College, told participants. “Now our children have at least started speaking it.” Five years ago, Zahid urged the KMC administration to start celebrating Hindko Day at the institute. It has now become an annual event at the college. Hindko is spoken in various parts of K-P and is also the native tongue of a large number of people in Kashmir and Afghanistan. An Indo-Aryan language, Hindko has similarities with Hindi and Punjabi. Some scholars even consider it an offshoot of Punjabi. However, Hindko maintained its own identity over the centuries even though other languages dominated the region. Limited attention has been paid to the grammar of the language despite the fact that is widely spoken. Turkish linguist Dr Halil Toker formed the grammar for the language and his works were published in 2012. Tokar also focused on the phonetic and linguistic aspects of Hindko. The language suffers the most in Peshawar as Hindkowans in the city have started giving preference to communicating in Urdu. One of the most important aspects highlighted by speakers at the conference was that Hindkowans have contributed greatly to Urdu literature. Famous Urdu poets such as Farigh Bukhari, Patras Bukhari, Qateel Shifai, Raza Hamdani and Ahmad Faraz were all Hindko speakers. Speaking on the occasion, Khalilur Rehman, a former Khyber-Pakhtunkhwa governor and Hindkowan, told participants that the province had gone through turbulent times. As a result, little attention was paid to literature, languages, culture and heritage. “Peshawar’s culture is gradually fading and its face has become distorted,” said Rehman. He added it was time Hindko was given due attention. The former governor urged the media to play its role in this regard. During the conference, scholars also presented papers related to other languages such as Sindh, Gojri, Seraiki, Kohistani and Pahari Balochi. They explained the historical importance of the languages spoken in Pakistan. Dr Rozi Khan Barki, a scholar, said Ormari was spoken in Waziristan. Barki said the language suffered in the region due war and uncertainty. He said a majority of people had left Konigram – a centre for the language. According to Barki, its words can be found in Zoroastrians’ Avesta. “Words of Ormari can also be found in Herodotus’ work,” he added.